On November 17, 2011 the New Writing Series will host a special event featuring the winner of the second annual Millay Prize for Poetry, Jason Canniff, and the renowned poet who graciously served as contest judge, David Trinidad. Jason Canniff will read from his winning manuscript “Shading Strings” and David Trinidad will read from Dear Prudence: New & Selected Poems, published this fall by Turtle Point. The event, which takes place on Thursday, November 17, 2011 at 4:30pm in the Soderberg Center Auditorium of Jenness Hall on the flagship campus of the University of Maine in Orono, is free and open to the public, though seating is limited. The Frank and Helene Crohn Edna St. Vincent Millay Prize was established by the Crohns, of Rhinebeck, N.Y., through a $300,000 gift held at the University of Maine Foundation. The annual prize, which recognizes graduate student achievement in poetry, comes with a $1,500 cash award. Jason Canniff grew up in a military family in the Mid Coast region of Maine, attending school in Brunswick and Bath, graduating from Morse High in 1997. As a young father, Jason attended the University of Maine, studying English and working as a photography editor for the Maine Campus and a part-time photographer for the Bangor Daily News. Taking some time off in 2002, Jason began a career in Hospitality Management, and became involved in various community projects, including a Culinary Arts jobs program for the homeless, and stint on the board of the American Cancer Society in Muscogee County, Georgia. Resuming his coursework at the University of Maine in 2010, Jason quickly discovered his love for poetry. He began working with poet and Associate Professor Jennifer Moxley, and served as the Assistant to the New Writing Series. Jason also completed a term as President of the Non-Traditional Students Association, working with the administration to create further opportunities for non-traditional students and to enrich their overall experience at UMaine. He earned Highest Honors from the Honors College for his creative thesis Shading Strings, a collection of poems, and received his B.A. in English in May 2011. When he is not writing, Jason likes to paint, hike, bowl, and cook Spanish food. 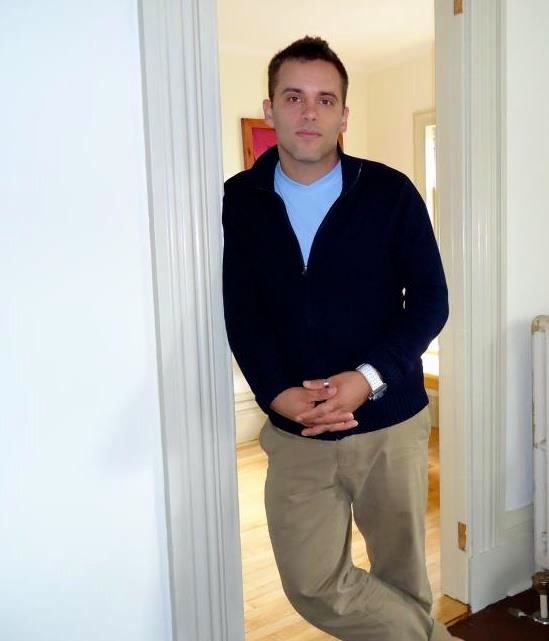 He is currently pursuing an M.A in English with a concentration in Creative Writing at UMaine, where he teaches College Composition, and is the poetry editor for the graduate literary magazine, The Stolen Island Review. David Trinidad’s most recent books are Dear Prudence: New and Selected Poems (2011), The Late Show(2007), and By Myself (with D.A. Powell, 2009), all published by Turtle Point Press. His other books include Phoebe 2002: An Essay in Verse (with Lynn Crosbie and Jeffery Conway, Turtle Point, 2003), Plasticville (Turtle Point, 2000, finalist for the Lenore Marshall Poetry Prize of the Academy of American Poets), Answer Song(High Risk/Serpent’s Tail, 1994), Hand Over Heart: Poems 1981-1988 (Amethyst Press, 1991), and Pavane(Sherwood Press, 1981). Trinidad currently teaches poetry at Columbia College Chicago, where he co-edits the journal Court Green and is the 2011-2013 Distinguished Scholar. Previously, Trinidad was a member of the Core Poetry Faculty of the M.F.A. Program in Creative Writing at The New School. 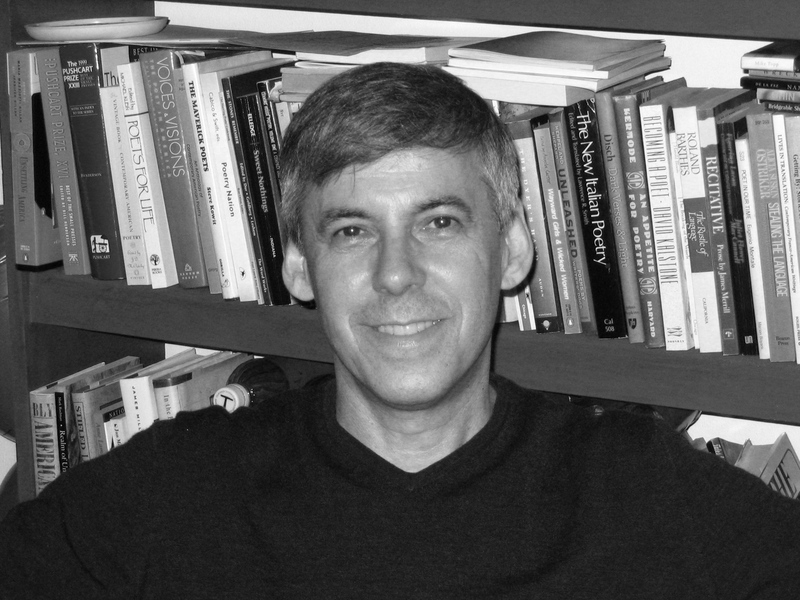 He has also taught at Rutgers, Princeton, and Antioch (Los Angeles) universities. In addition to his own books of poetry, he has edited A Fast Life: The Collected Poems of Tim Dlugos (Nightboat Books, 2011), Saints of Hysteria: A Half-Century of Collaborative American Poetry (with Denise Duhamel and Maureen Seaton, Soft Skull Press, 2007), and Holding Our Own: The Selected Poems of Ann Stanford (with Maxine Scates, Copper Canyon Press, 2001). His poems have appeared in such periodicals as The American Poetry Review, Boston Review, Harper’s, The Paris Review, Tin House and TriQuarterly, and have been included in numerous anthologies, including Up Late: American Poetry Since 1970, High Risk: An Anthology of Forbidden Writings, The Best American Poetry,Postmodern American Poetry: A Norton Anthology, and The Outlaw Bible of American Poetry. Poet Joshua Corey, author most recently of Severance Songs, will make his first appearance in the New Writing Series on Thursday, November 10, 2011, at 4:30pm in the Soderberg Auditorium (Jenness Hall) on the flagship campus of the University of Maine system in Orono. The event is free & open to the public, though seating is limited..
Joshua Corey graduated from Vassar College in 1993 and earned an M.A. in English literature and an M.F.A. in creative writing from the University of Montana. He was awarded a Stegner Fellowship in creative writing from Stanford University in 1999, and received his Ph.D. in English from Cornell University in 2007. He is the author of Selah (Barrow Street, 2003), Fourier Series (Spineless Books, 2005), and two chapbooks. He teaches at Lake Forest College in Illinois. Some links: Corey’s thoughts on American Poetry. Nora Delaney’s review of Severance Songs. Corey on Twitter.